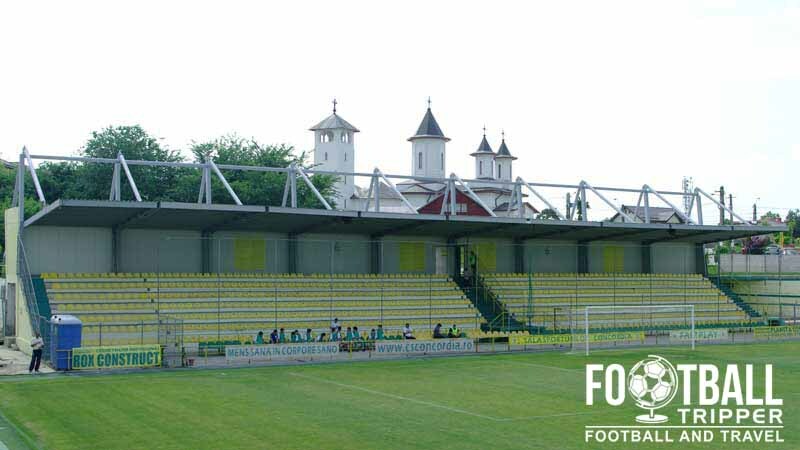 Stadionul Concordia is a purpose built football stadium located in the the south-eastern Romanian city of Chiajna. 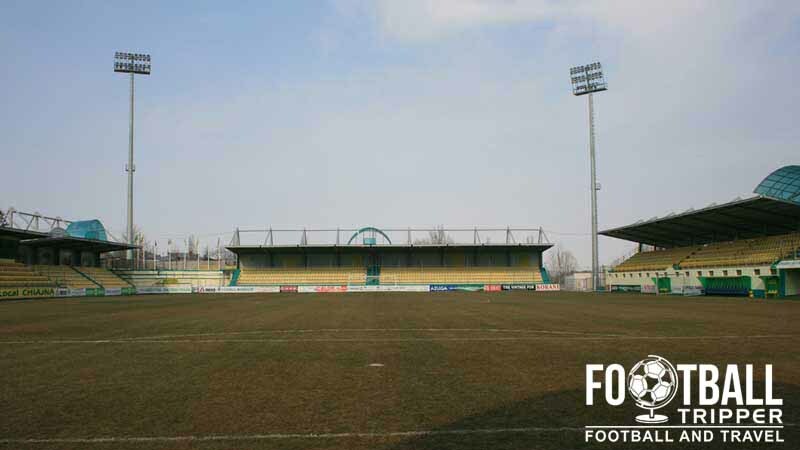 First opened in 2007, the home ground of local team CS Concordia Chiajna has a current capacity of 5,123 and hosted four matches in the under 19s UEFA Euro Tournament in 2011. 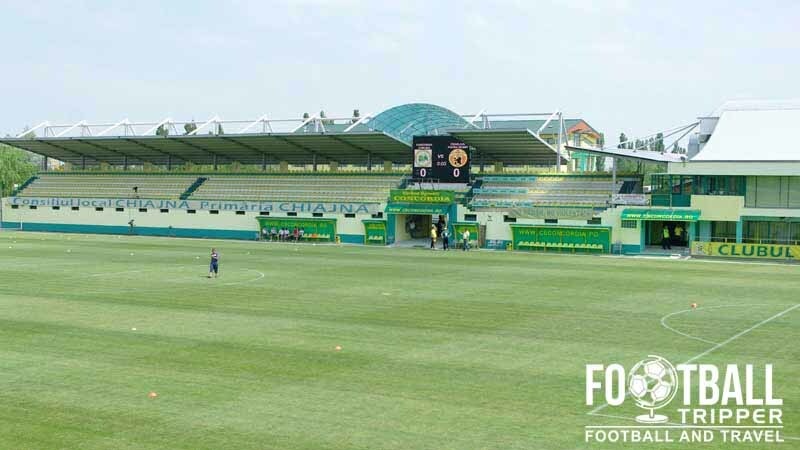 Stadionul Concordia has been home to CS Concordia Chiajna since 2007, when the club earned promotion to Liga II for the first time in their history. Built with a capacity of 5,123, the stadium is a purpose-built football ground, and subsequently benefits from the lack of athletics track around the perimeter of the pitch. CS Concordia Chiajna are historically one of Romania’s smaller teams having spent the majority of their existence in the lower divisions since forming in 1957. The club’s best performance to date was a 9th placed finish in Liga I during the 2011/2012 season, and top-flight matches are the highest quality of club football played at Concordia to date. 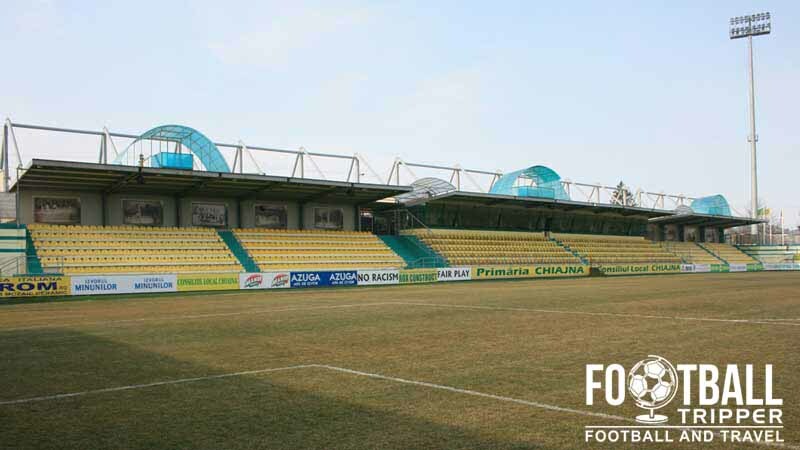 In 2011 Stadionul Concordia received the honour of being selected as one of four venues for the Under 19s European Championships which was set to be hosted by Romania. The ground only had to undergo modest renovations in order to bring it up to UEFA’s stadium criteria, which is testament to the quality of the original design. The largest stadium amongst those nominated as venues, Concordia was chosen to host three group matches, a semi-final, and even the final itself. Attended by a large crowd of 4,300 which appears to be the record attendance, Spain edged out Czech Republic 3-2 after extra time in fiercely contested encounter. 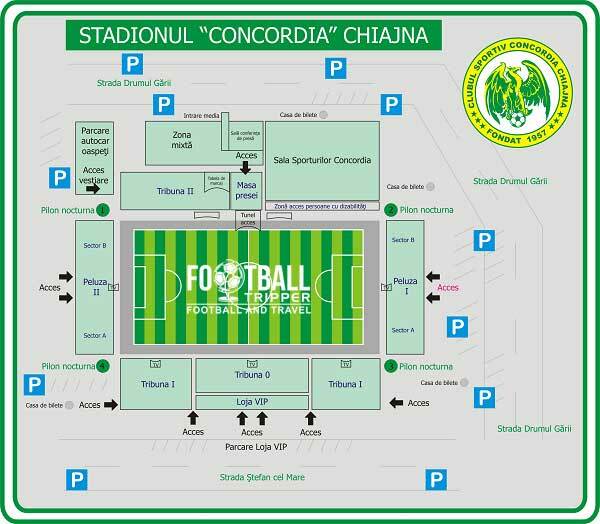 Stadionul Concordia is comprised of four stands: North, East, South and West.